Tuesday night saw the grand final of The Great British Bake Off 2013 and the three remaining bakers battle it out over picnic pies, pretzel perfection and teetering three tiered wedding cakes. But has all the talk of showstoppers, Charlotte Royales and soggy bottoms over the last 13 weeks got you reaching for the royal icing and itching to create intricately iced indulgences? If so, rather than trawling the internet trying to find elaborate moulds and unusually shaped tins, how about heading to Cass Art and picking up the only product that you need for making your own unique cake creations. Siligum is the answer to all your edible art needs. It’s a very fast-drying two-component silicone moulding paste, which allows you to accurately mould pretty much anything so you can cast the object again and again. It’s also non-toxic so can be used to cast in chocolate and icing. 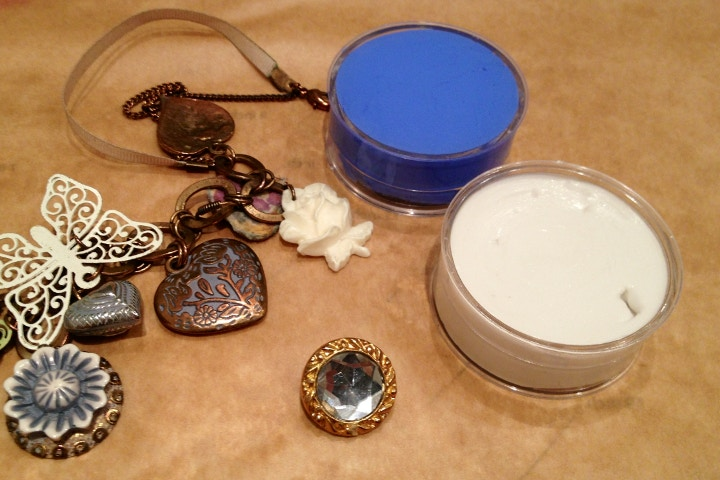 - Something to mould – smaller pieces work best; we were going for the vintage look so went for a necklace with various charms and some buttons. Firstly make sure the object you are moulding is clean, then take two equally sized amounts of the blue and the white Siligum and roll them together in your hands until they reach a uniform colour. Then, still holding the Siligum in your hands, press the side of the object you want to mould into it. Leave this for 5 minutes after which time the Siligum will have set. 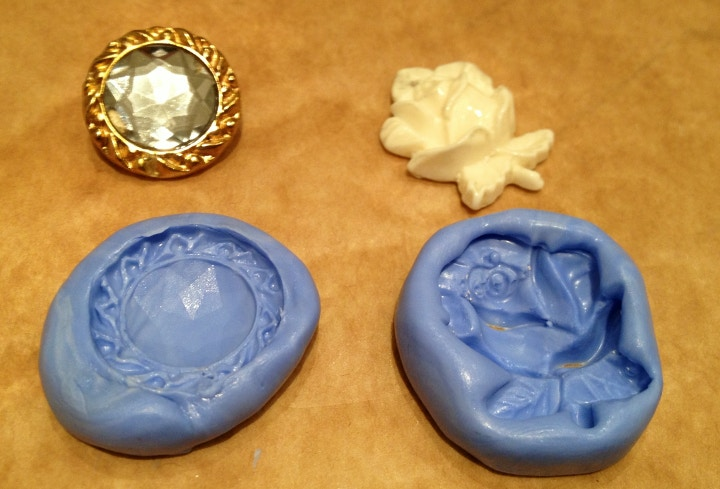 As it remains flexible you should be able to them remove the object and be left with your reusable mould. Take a ball of icing and gently press into the mould. Carefully remove the icing by peeling off the mould, taking care not to damage the delicate icing decoration. Repeat with all you moulds, making as many decorations as you need for your chosen design and then leave them to dry so they can firm up. Once they’re dry you can use the lustre dusts, paint and glitter to decorate them and then assemble your cakes either using a simple water icing or edible glue. To add to the vintage look, we added some extra bows made from left over bits of icing. The nature of Siligum means your moulds can simply be washed and kept for the next time you feel the need to embrace your inner domestic god/goddess. Siligum is available to buy now from the Cass Art online shop or from our Islington, Soho, Kensington, Hampstead and Kingston shops. 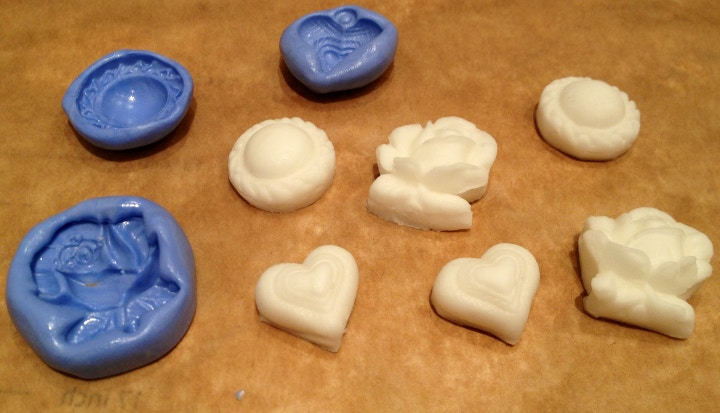 So if you fancy trying your hand at making your own moulds then pick some up this weekend. Laura Hodge is one of our Cass Art Care Customer Service Executives and makes wonderful cakes which you can view on her facebook page, Cakes for Mates.